➜ The Let's Talk Tips Newsletter is an Author Donna Jodhan Publication. 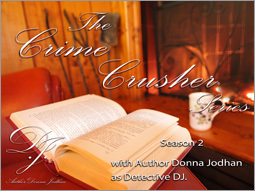 Author Donna Jodhan is a blind author, advocate, blogger, podcast commentator, and accessibility specialist. ➜ The Let's Talk Tips Newsletter is your monthly resource for the most current and reliable informational tips available in the areas of Technology, Nutrition, Media, Business, and Advocacy. ➜ The Let's Talk Tips Newsletter utilizes a 100% legally compliant opt-in database that allows subscribers of the Let's Talk Tips Newsletter to subscribe and unsubscribe from this publication at their sole discretion. ➜ The Let's Talk Tips Newsletter is sent out by email and Facebook on the 1st Monday of every month at 6:00 AM EST. ➜ If you would like to receive the Let's Talk Tips Newsletter by email on the 1st Monday of every month you can sign up here. ➜ If you would like to receive the Let's Talk Tips Newsletter as part of your Facebook News Feed, like or follow us here. 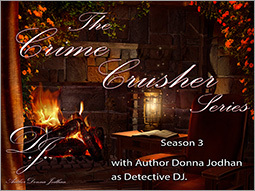 All Author Donna Jodhan Publications utlize industry-standard SafeUnsubscribe™ technology which allows any reader to instantly unsubscribe from this or any other Author Donna Jodhan Publication at their sole discretion. 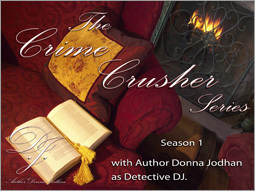 All Author Donna Jodhan Publications are 100% CAN-SPAM Compliant. To unsubscribe from this or any other Author Donna Jodhan Publication simply locate the link located at the bottom of every email we send you titled "SafeUnsubscribe™". Are you on Facebook? 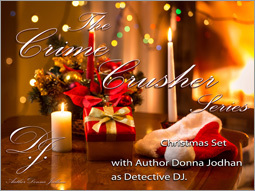 Stop by and "Like" Author Donna Jodhan to begin receiving Let's Talk Tips as part of your Facebook News Feed today: http://www.facebook.com/authordonnajodhan. 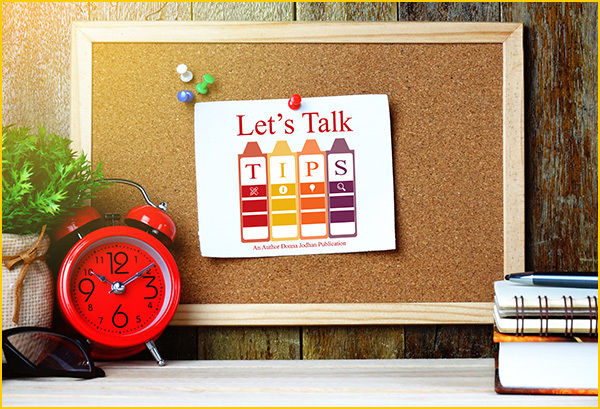 Visit the Let's Talk Tips Archive at: http://www.donnajodhan.com/lets-talk-tips-newsletter.html where you can reference all past issues. Each month we aggregate all of the very best tips we can find in the areas of Technology, Nutrition, Media, Business, and Advocacy. If you are a writer, author, blogger or podcaster of informational tips in any of these areas, and you would like for your content to be considered for publication within this newsletter, you may send any information for future issues to our editor, Donna Jodhan, at: LetsTalkTips@DonnaJodhan.com ✉.